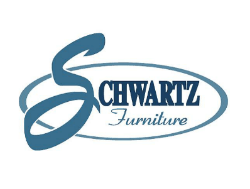 At Schwartz Furniture, your complete satisfaction is our priority. A large selection of merchandise at low prices, guarantees of satisfaction, free interior decorating services, and professional delivery services has made Schwartz the home furnishing stores of choice in eastern Nova Scotia. Come visit the friendly, knowledgeable sales consultants and see why their loyal customers have kept coming back to Schwartz Furniture since 1922.